Political actors in Libya, a member of the Organization of Petroleum Exporting Countries, shouldn’t settle scores through violence, the U.N. mission stated. 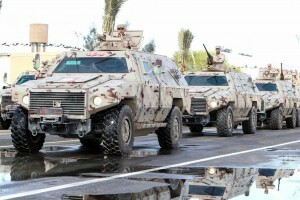 The U.N. Support Mission in Libya called for calm following clashes in and around the capital city, Tripoli. All parties to the violence are called to lay down their weapons amid reports of heavy fire in residential areas. “The mission stresses that political aims must not be pursued through violence and warns that the build-up of armed groups and hostile acts and rhetoric risk a wider military confrontation,” it stated. Rival militias are vying for control over territory in parts of the capital city. According to the English-language Libya Herald, a temporary cease-fire has been in place, though it may be tenuous as neither side is willing to give up territorial gains. Political disputes, meanwhile, are ongoing over measures meant usher in the establishment of a permanent constitution, replacing a temporary code enacted after civil war died down in 2011. While Tripoli is not a center for oil for the OPEC member, the issue highlights the fractured nature of one of Africa’s largest producers. An August report from the International Crisis Group found government unity was elusive given the mounting distrust running in leadership circles since the end of civil war. For some form of political agreement to take place, the group said everything from more transparency at the nation’s central bank to a larger footprint from the U.N. mission may be necessary. A standoff over the control of the nation’s crude oil export terminals eased late summer, but ICG warned another could soon erupt if the underlying causes of conflict in Libya aren’t resolved. Secondary sources reporting to OPEC economists for the monthly report in August put average Libyan crude oil production at 664,000 barrels per day last month. The first quarter average was closer to 1 million bpd.